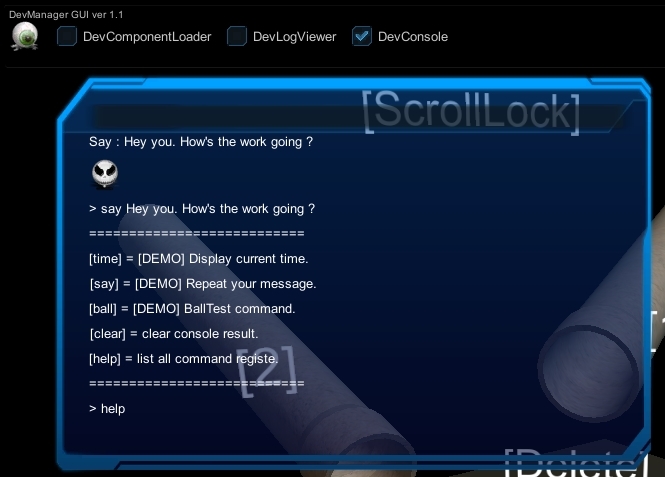 this is a framework to let developer easier add custom command to this console. 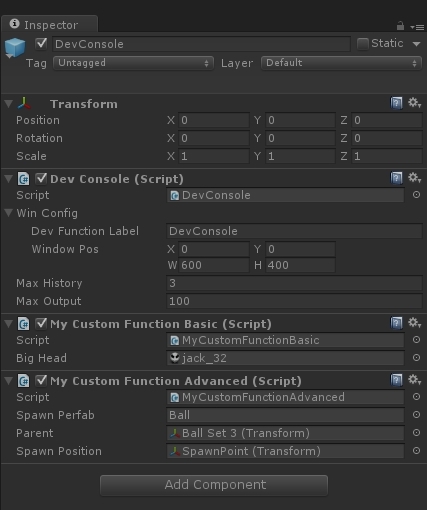 Create a empty gameobject, add “DevConsole.cs” at than object. Create and design your own script. we have sample code in pro packet, you may start there. // You can use Image. as your output result. // _args is user's input string behind setting command. After you ready this script file. 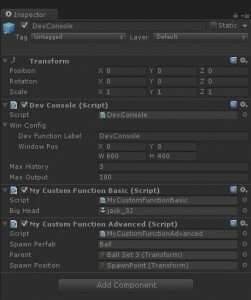 add your custom script file on Gameobject. 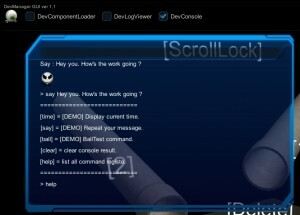 Switch on “DevConsole” on Dock. then you will see the GUIWindow like this. will return true when success added. will return true when success delete. The Call back function must return a List<GUIContent> result. // return the output GUIContent to DevConsole. The end of DevConsole description.